These are interesting times in the computer industry. Intel’s Core 2 Duo is barely dry behind the ears and they have dropped the bomb with their Quad Core CPU – the Core 2 Quad Q6xxx series. At this point, AMD has nothing that can touch the Core 2 Duo in terms of performance, and Intel is not resting on that fact – they are pushing things even farther. The only Quad Core processor that is currently available is the Core 2 Extreme QX6700 and it comes clocked in at 2.66GHz with 4x 2MB of cache. Be prepared for this CPU to cost as much as a nice house payment however – it is currently listing for $1299.95 CDN, if you can find one in stock. The Core 2 Duo processor has proved itself to be a powerhouse, and to get the best of the best will set you back a fair bit of change as well. Currently, the fastest Core 2 Extreme X6800, and this processor comes clocked in at 2.93GHz with 2x2MB of cache. This processor will also set you back $1299.95 CDN right now and offers half the cores, but at greater speed than the new Quad Core 2 Extreme CPU. Our goal today is to take a look at these CPU’s when compared to each other running popular applications, a few CPU intensive games, and some synthetic benchmarks. Our goal is to provide you with some information that will help you decide if the world is even ready for Quad Core Personal Computing. Both of these processors brandish the “Extreme” tag, and are extreme not only in price, but in performance and potential. 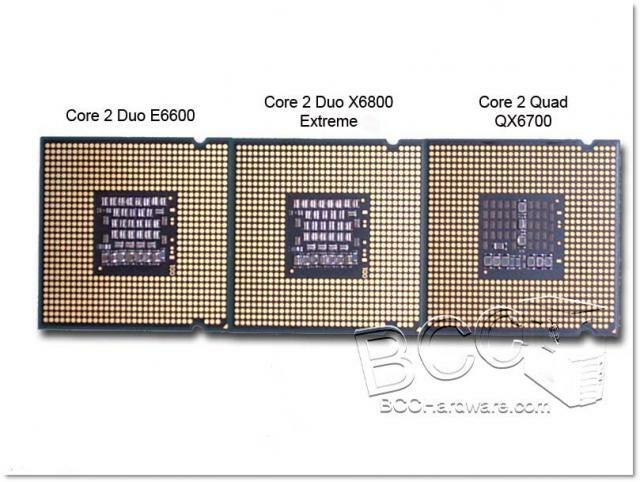 The Extreme processor usually runs with less CPU core voltage than regular E6x00 series processors. 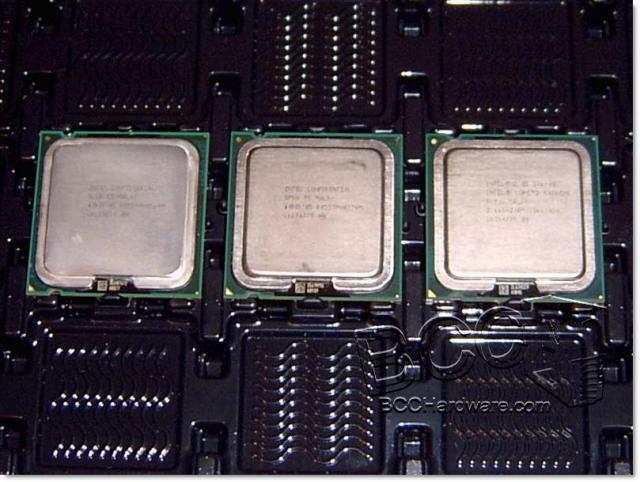 This indicates that these processors are the cream of the crop and will likely clock higher than other CPU’s. This is not a hard and fast rule, but merely an indicator of what you can expect. When it comes to choosing a high-end processor, you must really think about what you are going to be doing with it. In terms of gaming performance, a Dual Core CPU will probably give you better performance and value today as dual core CPU’s are clocked higher and games can only handle one or two threads at once. Quad core CPU’s should excel in video editing, design, and pure mathematical calculations as more applications are multithreaded for 2 or more cores. With that in mind, we’ll take a look at how the processors compare in terms of basic specs. Intel QX6700 & X6800 Quick Specs. On the next page we'll take a look at how these processors overclock and take a look at our test system.